STEAM (Science, Technology, Engineering, the Arts, and Math) activities compel kids to use cross-disciplinary tools and critical thinking skills in an inquiry and solution-based environment. Unlike traditional teaching practices which often encourage passive learning, STEAM Education invites kids to be ACTIVE learners to gain new knowledge they can take beyond the classroom or home and apply to problems encountered in the everyday world. 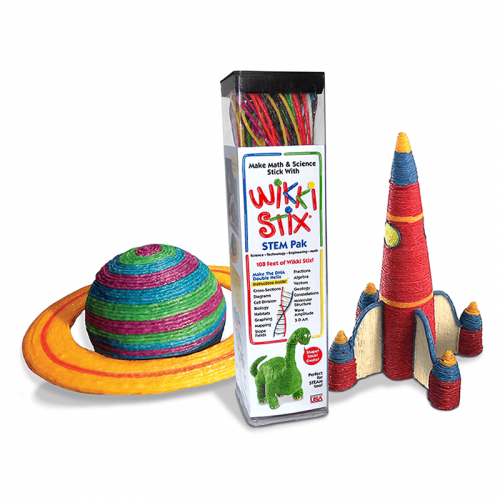 Come explore the wonders of STEAM Education with a Wikki Stix Talking Feather Stick challenge for kids! The following lesson plan can be used at home or in the classroom with kids of all ages. Objective: 1) to plan and design a Talking Feather Stick that reflects the student artist’s creative expression; 2) to use the constructed Talking Feather Stick to encourage heartfelt speech and respectful listening skills. Science: Kids will explore how the Legend of The Talking Feather Stick relates to their everyday world. Students will also use skills within the scientific method as they plan and construct a symbolic Talking Feather Stick. Technology: Kids will extend and/or document learning through use of technology. Engineering: Students will plan and construct a Talking Feather Stick that exhibits early attempts at engineering from simple supplies. 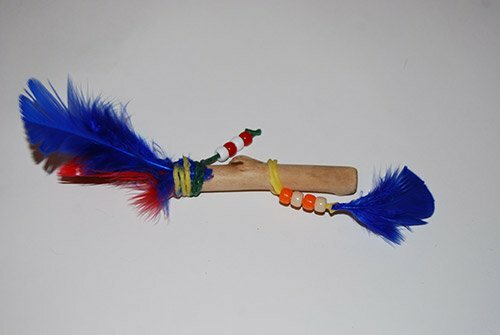 The Arts: Kids will construct a symbolic Talking Feather Stick that represents the student artist’s creative choices. Math: Kids will use lines, patterns, and explore mathematical relationships as they plan and design a Talking Feather Stick. Background Information for Parents and Teachers: There are many legends among various Native American tribes about the origin of the Talking Feather Stick. Native Americans used the Talking Feather Stick during important tribal council meetings to ensure that each member had a chance to speak in a non-threatening, uninterrupted, and respectful environment. The member holding the stick was given an opportunity to share his heartfelt thoughts and then the stick was passed to another who desired a chance to speak. The materials and colors used on the Talking Feather Stick were symbolic representations: the Sacred Feather was an Eagle’s feather – representing truth, freedom, wisdom, and insight. Some tribes used an Owl’s feather to represent protection, wisdom, and insights into truth. Adornments (such as animal skins) and colors used on the Talking Feather Stick were also symbolic, but the meanings varied from tribe to tribe. Some tribes used the color red to symbolize the blood of life, white to symbolize truth and purity, and various other colors to symbolize the sun, nature, or other objects of importance. For families and classrooms, the Talking Feather Stick is an effective tool to teach all children the benefits of listening, with respect, to others. It is also a way for adults to encourage language skills and truly listen when kids speak. The Talking Feather Stick ensures that all members of a family or classroom have an opportunity to be heard. The values of heartfelt free speech and respectful listening are embodied in the stick; all members’ words are equally important and we can all learn from each other through respectful listening. 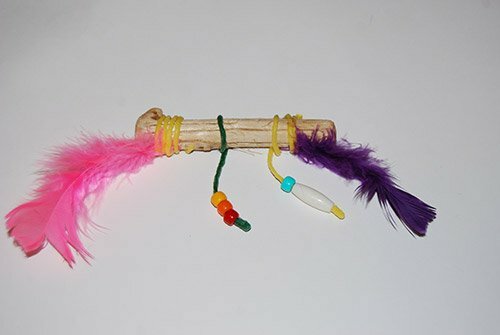 Information for Kids: The Talking Feather Stick was used by Native Americans as a way to make sure that each person who wished to speak was heard during important meetings or gatherings. The Talking Feather Stick is symbolic of life, nature, and how we must respectively listen to each other in order to learn. The Rules of the Talking Feather Stick are as follows: “Whoever holds the talking stick has within his hands the power of words. Only he can speak while he holds the stick, and the other council members [children] must remain silent…” (Locust, 1998). 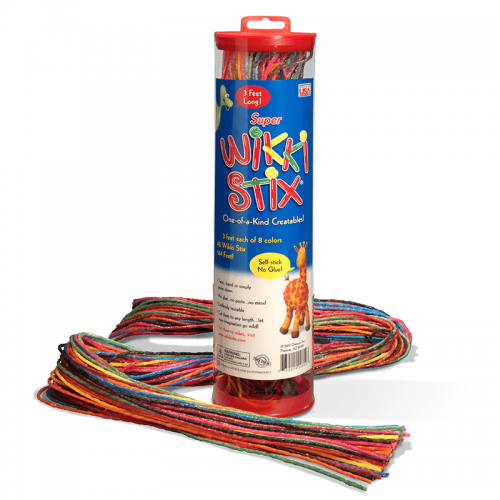 20 Assorted Colors of Wikki Stix – the children will choose their own colors, but they must also think about the chosen colors and what those colors represent. 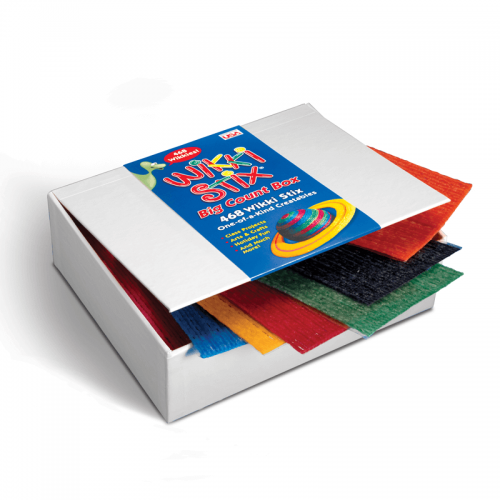 Assorted Colors of Craft Feathers and Pony Beads – again, the children can choose colors, but they must have a plan for what the chosen colors will represent. Real or Craft Sticks – one person. Download the Challenge Directions here. Students must plan and design a Talking Feather Stick using only the given supplies. Kids do not have to use all supplies, but no additional supplies will be allowed. The challenge can be completed individually, with a partner, or in a team. 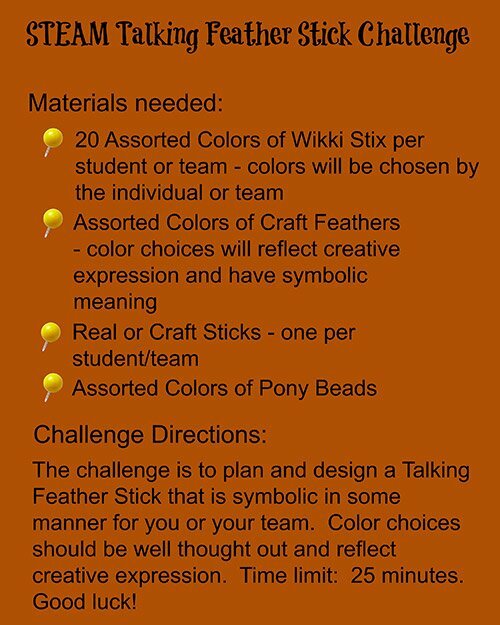 Each student or team should make a written or verbal plan for the use of symbolic colors on the Talking Feather Stick and be able to explain why certain colors were chosen. Note: color symbolism will vary with the age of children completing the challenge. Younger children may choose purple and green simply because they like those colors. Older kids may choose colors that represent sports teams, nature, animals, or colors that they associate with memorable experiences. The time limit for the challenge is 25 minutes. The Talking Feather Stick challenge can also be completed as a family, in a small group, or with an entire classroom by brainstorming possible use of colors and the meaning for the group as a whole. The Talking Feather Stick (see right photo) was designed by a 1st grade student. The student chose the pink and purple feathers because those were her favorite colors. Yellow and Green Wikki Stix colors were chosen to attach the feathers and for threading the beads – the color yellow was used to represent a sunflower and green to represent the leaves. The red, orange, and yellow beads represent a “hot and sunny” summer day. The aqua and white beads represent the water. Another Talking Feather Stick (see right photo) was designed by a 3 grade student. The student chose red, white, and blue for one color theme as his father serves in the U.S. military. 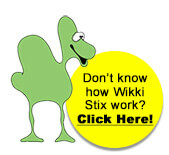 Yellow Wikki Stix was chosen to represent the sun and green Wikki Stix to symbolize nature (the student and his father love to take walks on nature trails together). The orange and yellow patterned beads represent the sunrise and sunset. Invite the kids to take photos of the completed Talking Feather Sticks. Have kids print the photos and compile a class book to share with family and friends. The kids could also load the digital photos to Voicethread.com and voice record the symbolic meanings of the chosen colors. The created Voicethread can then be shared privately with family and/or friends. Have the kids search online for variations of the Legend of the Talking Feather Stick. Invite them to write about the differences and similarities. Have the kids search online for additional photos of Talking Feather Sticks. Show the kids how to find the webpage where the photo(s) originated. Print the challenge questionnaire here (download the Talking Feather Stick Response pdf here). Invite the kids to form a circle in order to share responses to the challenge questions (for younger children, explore the response questions together). Choose one of the created Talking Feather Sticks to pass around the circle and offer each child an opportunity to speak and listen. Remind kids to listen respectfully until the stick is passed to them. *Note for teachers of younger children: using a sand timer or digital stopwatch is helpful with younger children. We want all kids to have opportunities to speak and develop respectful listening skills, but we also do not want to have other children waiting indefinitely for extended stories. Remind younger children of the question(s) for exploration during the circle if they lose focus. As the stick is passed from child to child, turn over the sand timer and ask that the stick be passed to another as the timer runs out (with respect also for the student who is finishing speaking). As the children grow and garner listening and language skills, it is amazing to observe the positive transformations. 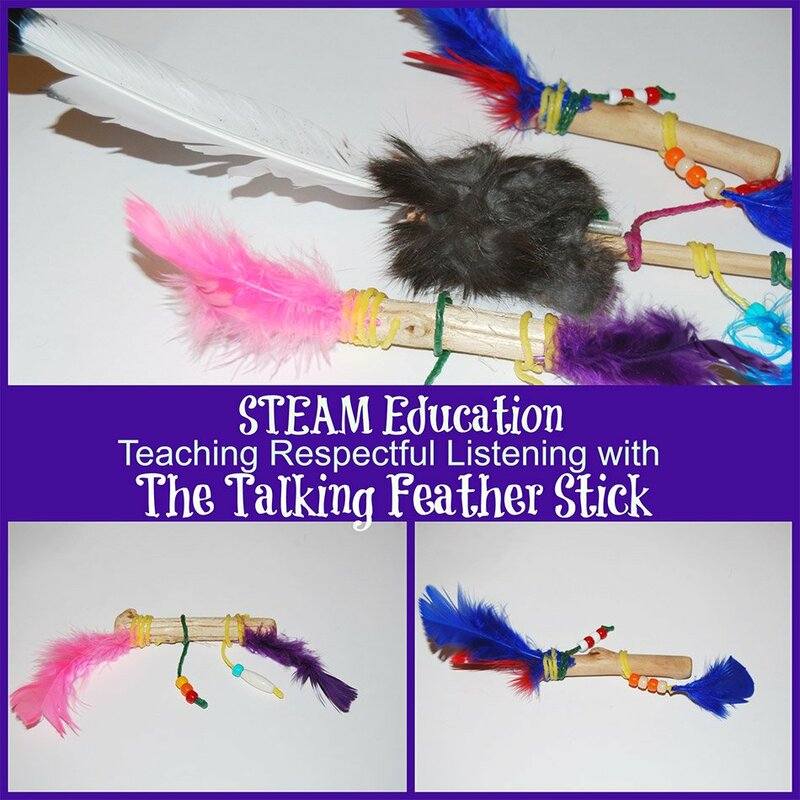 The Talking Feather Stick STEAM challenge can lead children to discover the importance of language and listening. In our multicultural world, there is an abundance of knowledge to learn from each other. By teaching children the value of respectful listening and heartfelt communication, parents and teachers can guide children to become “bridge builders” for mutual understanding in our homes, classrooms, communities, and world. STEM Education: Haunted House Engineering for Kids! STEM and Project-Based Learning: SPIDERS!